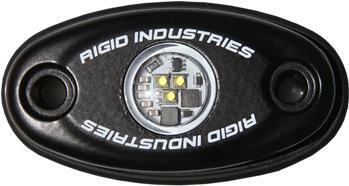 Rigid Lights - A Series UNIVERSAL - Dezod Motorsports Inc - Home of the automotive performance enthusiast since 2002. 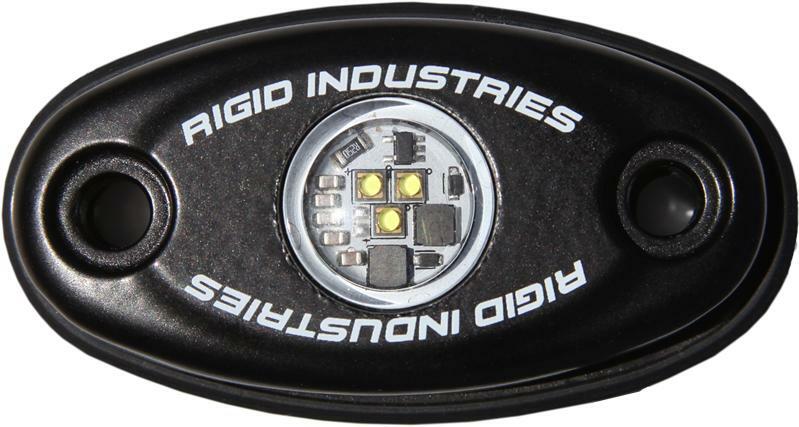 These little lights pack quite a punch with unparalleled brightness and efficiency. Available in two options High or Low power, the A-Series is extremely versatile. Whether it’s used as a dome light in your truck, a deck light on your boat, or driving lights on your trailer, the A-Series is the perfect solution for all your needs. The A-Series includes multiple mounting options and is available in multiple LED colors – red, blue, green, and three shades of white to suit your needs.